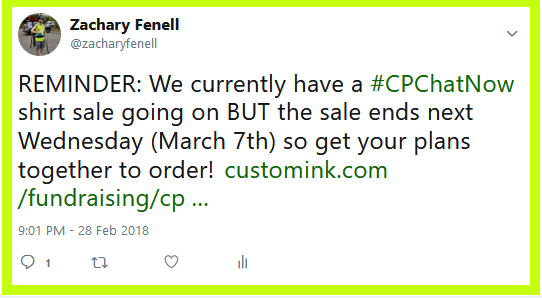 #CPCHATNOW T-Shirts and Tank Tops NOW On Sale! You can now wear your #CPChatNow pride! 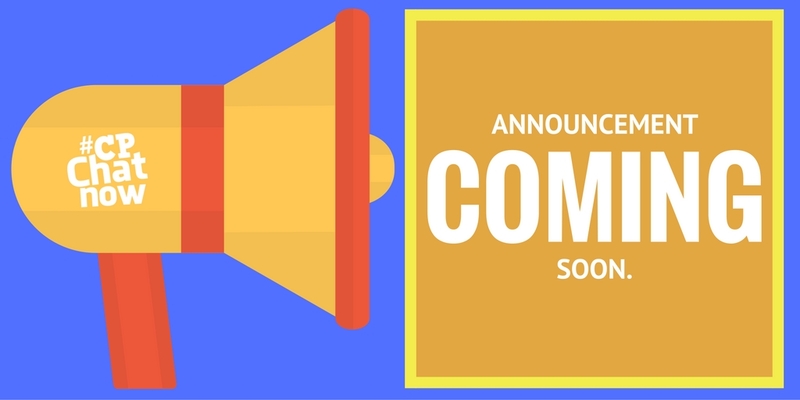 Hi, co-host Zachary Fenell here with exciting news. 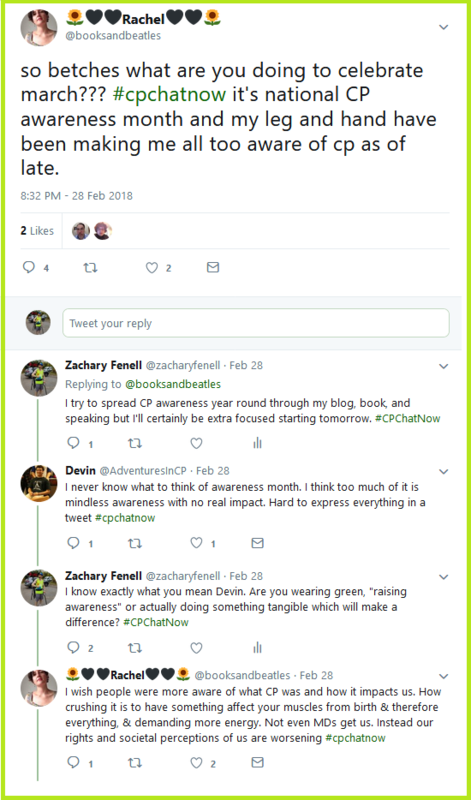 The long wait for #CPChatNow shirts remains over. This thanks to a 30-day Custom Cat campaign launched June 9th. Through the campaign #CPChatNow will raise funds for the nonprofit organization Keep On Keeping On (KOKO) Foundation. Custom Cat offers a platform for creating customized gear. Orders print on demand and ship directly to the customer. Ideal for us at #CPChatNow! No upfront costs. No inventory to deal with. No postage and mailing to worry about. KOKO Executive Director Dave Kunicki and President Tim Wambach present Jessica a check for buying a new wheelchair. KOKO stepped in after Jessica’s insurance company denied her a replacement. As aforementioned the sale will raise funds for the nonprofit Keep On Keeping On Foundation. Our own founding father Tim Wambach also founded KOKO, back in 2007. KOKO assists those living with severe physical disabilities. Assistance provided by purchasing medical equipment, paying for needed physical therapy, helping to cover outstanding medical expenses, and more. Learn about those KOKO helped in the past. Click for the stories. Please note the money that goes to KOKO differs from the price you pay. Production costs need paying too. The chart below crunches the numbers for you. So you can see exactly where your money goes. Start by selecting your preferred shirt design. You will find three options. 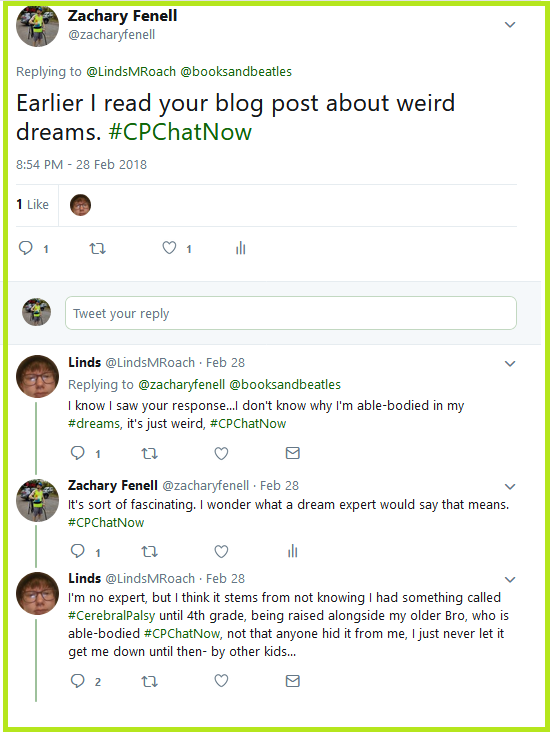 Our own Erin Diericx brings the legendary #CPChatNow train to life. Underneath her beautifully designed train, the shirt reads. 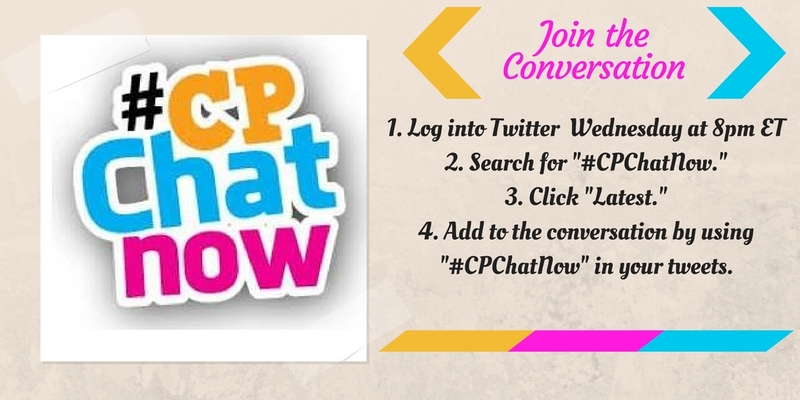 Option two features a colorful #CPChatNow logo, a Sarah Wambach creation. 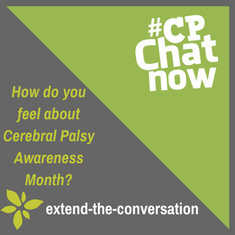 Beneath the gold, blue, and green #CPChatNow logo accompanies the slogan. Regularly we in our community refer to ourselves as family. That familial theme takes center stage in the final shirt design. A white #CPChatNow logo dons the shirt with the following words (also in white). Upon order completion you will receive a confirmation email. If you do not see the confirmation, check your spam folder. Custom Cat fills orders within 24 to 48 hours. Add in time for shipping too. Do not let the confirmation email panic you. Personally I ordered a sleeveless performance shirt (true red) with the colored logo design. Plus I ordered a t-shirt (Irish green) featuring the join the family design. Yet my confirmation order simply showed the right color sleeveless performance shirt but with the train design. 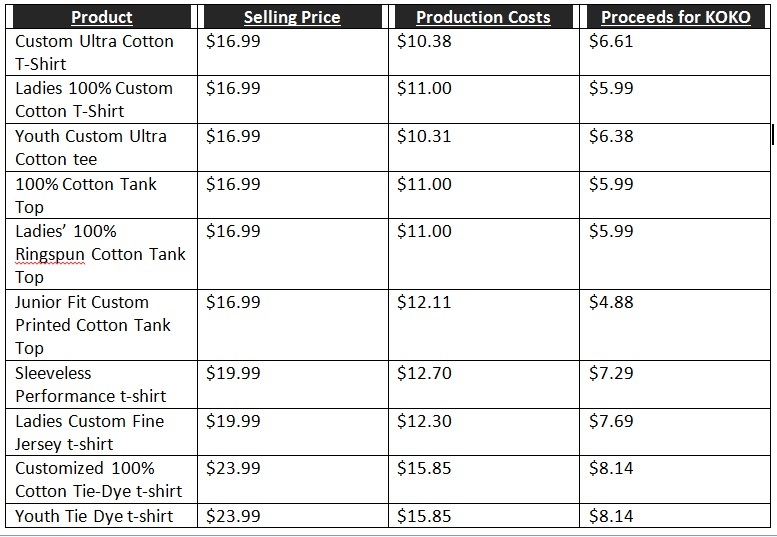 No mention about my second shirt outside the total price. Therefore I wrote Custom Cat customer service to double check my order. They replied in under 12 hours, confirming my double check. If you wish to confirm your order, you can email Custom Cat at contact@customcat.com. Unfortunately Custom Cat currently only ships domestically within the United States and to Canada. 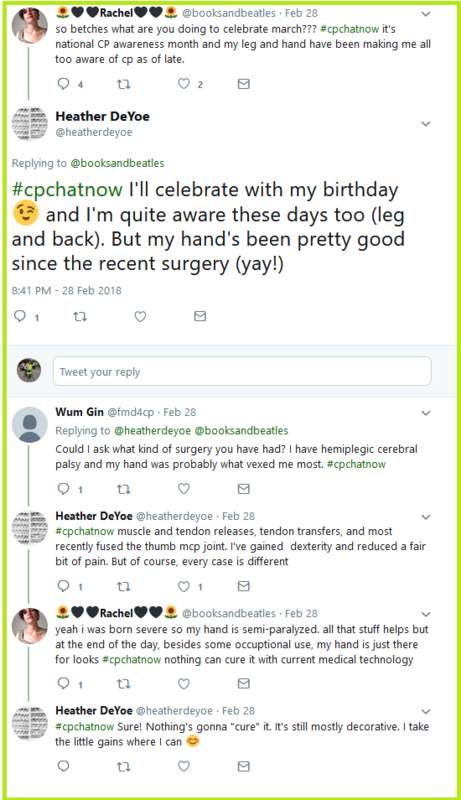 Hopefully in the future we can find a way to offer #CPChatNow gear to our participants located other places around the world. ORDER YOUR T-SHIRTS AND TANK TOPS TODAY!